Mullen, Patrick and Jim Leach. "Don McKellar ". The Canadian Encyclopedia, 30 June 2017, Historica Canada. https://www.thecanadianencyclopedia.ca/en/article/don-mckellar. Accessed 25 April 2019. 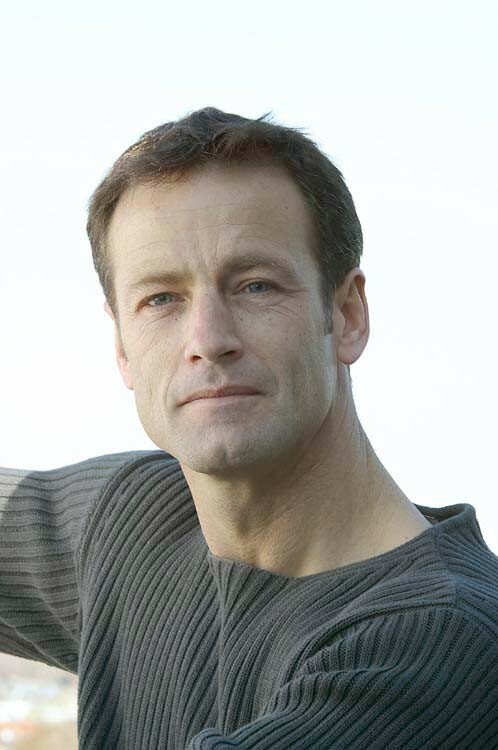 Donald McKellar, CM, actor, screenwriter, director (born 17 August 1963 in Toronto, ON). One of Canada’s most acclaimed and prolific stars, the multi-talented Don McKellar has enjoyed success as an actor, writer and director in film, television and theatre, often assuming multiple roles in a production. Equal parts laconic and loopy, he is best known for playing quirky, unconventional leading men and collaborating on unique, visionary independent films. He was a key player in the Toronto New Wave, collaborating with Bruce McDonald and Atom Egoyan on such films as Roadkill (1989), Highway 61 (1991), The Adjuster (1991) and Exotica (1994). He received the Prix de la Jeunesse at the Cannes Film Festival for his directorial debut, Last Night (1998), and won a Tony Award for co-writing the hit musical The Drowsy Chaperone. He is a Member of the Order of Canada and has won multiple Genie and Canadian Screen Awards. 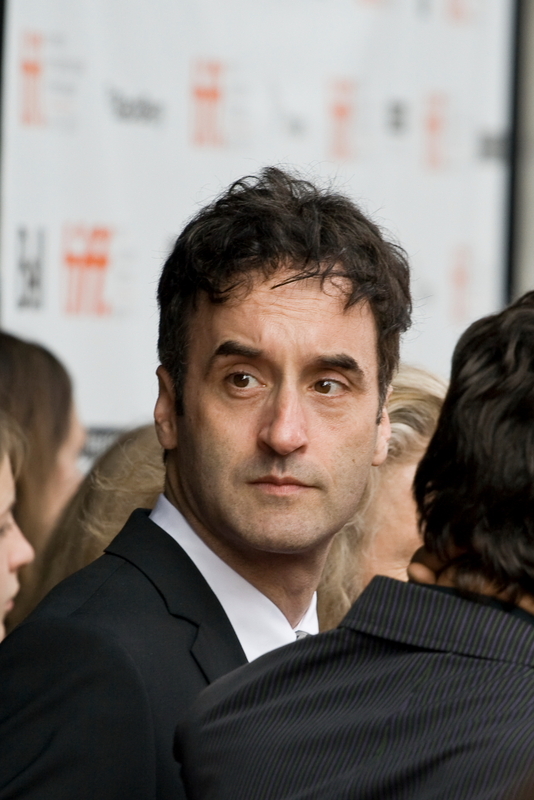 Don McKellar at the premiere of Trigger during the 2010 Toronto International Film Festival. McKellar attended high school at Toronto’s Lawrence Park Collegiate Institute, where he developed his passion for acting in school productions. He worked as a clown at children’s birthday parties and became good friends with classmate Bob Martin, with whom he would collaborate throughout his career. He then studied English and theatre at the University of Toronto, but dropped out a few credits shy of graduation to pursue theatre professionally. McKellar co-founded the touring company Child’s Play Theatre, an endeavour that began his personal and professional relationship with actor Tracy Wright, who auditioned for a role in one of his plays. McKellar then co-founded the avant-garde theatre collective the Augusta Company with Wright and Daniel Brooks in 1989, which created a series of experimental plays. McKellar made his debut as a screenwriter and actor that same year in Roadkill (1989), the first feature film directed by Bruce McDonald. McKellar’s role as an offbeat serial killer was relatively small, but it earned him a Genie Award nomination for best performance in a supporting role, as well as for best screenplay. The film won the award for best Canadian feature at the Toronto International Film Festival (TIFF). He earned a Genie nomination for best lead actor for his role in McDonald’s Highway 61 (1991), for which he again wrote the screenplay. A spiritual sequel to Roadkill, the film sent McKellar on a darkly funny road trip involving drug smuggling and a frozen corpse, and kick-started his career of playing unconventional anti-heroes and offbeat leading men. After his work on Highway 61 and Atom Egoyan’s The Adjuster (1991), McKellar studied directing at the Canadian Film Centre. His graduation film was Blue (1992), a short film starring David Cronenberg as a carpet manufacturer who becomes a victim of his sexual fantasies. 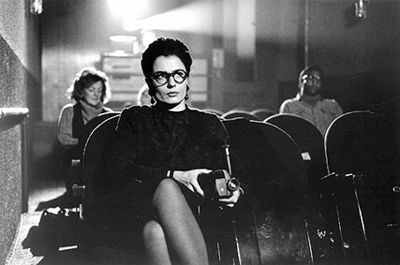 McKellar returned to writing, in collaboration with François Girard, with the screenplay for Thirty-Two Short Films About Glenn Gould (1993). Directed by Girard and featuring McKellar in a small role as a concert promoter, this innovative and highly acclaimed biography of Canadian musician Glenn Gould uses a series of vignettes to capture Gould’s complexity and notorious eccentricities. The film was named Best Canadian Feature Film at TIFF and won four Genie Awards, including Best Motion Picture. McKellar was nominated for the screenplay. McKellar then gave one of his best performances in Atom Egoyan’s Exotica (1994). As Thomas, the gay owner of an exotic pet shop, McKellar embodies the character’s childlike naïveté and inquisitiveness to mirror the film’s look-but-don’t-touch power play. He won a Genie Award for his supporting performance. McKellar then teamed again with McDonald to adapt W.P. Kinsella’s Indigenous drama Dance Me Outside (1994), and had a small role opposite Tracy Wright in Patricia Rozema’s queer love triangle When Night Is Falling (1995). McKellar collaborated with Girard on the screenplay for the ambitious international co-production The Red Violin, and appeared in a small role alongside a diverse cast that included Samuel L. Jackson, Greta Scacchi, Colm Feore and Sandra Oh. This sweeping epic won eight Genie Awards and nine Jutra Awards (now Prix Iris), including Best Film and Best Screenplay at both galas, and also earned a Golden Globe nomination for Best Foreign Language Film. In 2002, it was voted the third-best Canadian film of all time in a reader poll conducted by Playback magazine. McKellar then wrote and starred in Twitch City (1998, 2000), which began as a six-part CBC TV series directed by McDonald. This satire about alienated Torontonians featured McKellar as a television-obsessed couch potato alongside Molly Parker and Daniel MacIvor as his long-suffering roommates. The series became a cult hit and was cited by Maclean’s as among the best homages to television on television. McKellar continued to be a singular presence in high-profile Canadian productions, most notably David Cronenberg’s eXistenZ (1999), Gary Burns’s waydowntown (2000), Thom Fitzgerald’s The Event (2003), Olivier Assayas’s Clean (2004), Reginald Harkema’s Monkey Warfare (2006), the TV series Slings and Arrows (2003–06) and Odd Job Jack (2003–07), and the CBC TV historical miniseries Trudeau (2002), opposite Colm Feore, and Prairie Giant: The Tommy Douglas Story (2006). McKellar spent several years writing the screenplay for the international co-production Blindness (2008), adapted from the novel by Nobel Prize-winning Portuguese writer José Saramago and directed by Brazilian filmmaker Fernando Meirelles. Recalling the ambitious scope of The Red Violin and the dystopian vision of Last Night, the film offers an unsettling metaphor for willful blindness on a global scale. McKellar played a supporting role as The Thief alongside Julianne Moore, Mark Ruffalo, Gael García Bernal, Danny Glover and Sandra Oh. Blindness opened the Cannes Film Festival and proved divisive, but received a more favourable reception after it was recut for its North American premiere at TIFF. McKellar then starred alongside Lisa Ray and Seema Biswas in Dilip Mehta’s Cooking with Stella (2009), and collaborated with Bruce McDonald on the screenplay for This Movie is Broken (2010), a romance centred on a concert by the band Broken Social Scene. He also appeared in McDonald’s Trigger (2010) alongside Tracy Wright and Molly Parker. Trigger was Wright’s final performance and members of the Toronto film scene rallied together for this passion project, which opened TIFF Bell Lightbox during its inauguration at the 2010 festival. McKellar’s other acting credits include the Toronto-set comic adaptation Scott Pilgrim vs. the World (2010), with Michael Cera, Allan Hawco’s hit television series Republic of Doyle (2011), the drama/animation hybrid Zoom (2015), with Alison Pill and Jason Priestley, and Ann Marie Fleming’s animated feature Window Horses (2016), with Ellen Page and Sandra Oh. 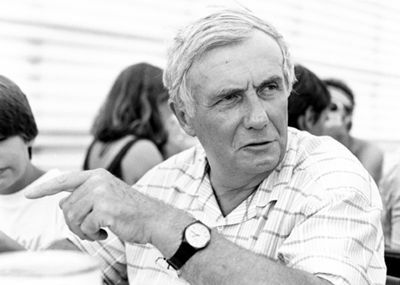 McKellar’s most significant achievement in film was writing, directing and starring in his first feature film, Last Night (1998), for which he won the Prix de la Jeunesse at the Cannes Film Festival. The dark comedy envisioned the apocalypse at the dawn of the new millennium and featured a who’s who of the Canadian film scene, including Oh, Wright, Cronenberg, Callum Keith Rennie, Sarah Polley, Jackie Burroughs and Geneviève Bujold. Last Night disregards many conventions of science fiction and eschews special effects, blending understated acting and bizarre comedy to build to a moving conclusion. The film put McKellar in competition with himself at that year’s Genie Awards where it faced off with The Red Violin. Last Night won three awards including the Claude Jutra Award (now the Canadian Screen Award for Best First Feature). McKellar earned an additional Genie nomination that year for the short film Elimination Dance (1998), made with McDonald and Michael Ondaatje. He returned to directing with Childstar (2004), in which he played an aspiring Canadian filmmaker who becomes chauffeur to the American child-star of a Hollywood production being shot in Toronto. The film expresses the state of Canadian cinema in the age of globalization. Although it received less enthusiastic reviews than Last Night, Childstar earned a Genie nomination for McKellar’s screenplay. He directed the CBC TV series Michael: Tuesdays & Thursdays (2011) and its revived follow-up Michael: Every Day (2017), as well as the amusing Newfoundland-set remake of the Québécois film The Grand Seduction (2013), which had the highest English-language Canadian domestic gross of 2014 and earned four Canadian Screen Award nominations. The HBO series Sensitive Skin (2014–16), with Kim Cattrall, earned McKellar Canadian Screen Awards for acting and directing. In 2006, McKellar achieved a major success on Broadway with his Tony Award-winning book for The Drowsy Chaperone, a musical originally presented at the Toronto Fringe Festival in 1998. McKellar married his long-time partner, Tracy Wright, in January of 2010 following her diagnosis of pancreatic cancer. The two remained together until her death that June. André Loiselle, “The Radically Moderate Canadian: Don McKellar's Cinematic Persona” in North of Everything: English-Canadian Cinema Since 1980, ed. William Beard and Jerry White (University of Alberta Press, 2002). Geneviève Royer, “Entretien : Don McKellar,” Séquences 200 (Jan-Feb 1999). George Melnyk, ed., Great Canadian Film Directors (University of Alberta Press, 2007).